Let’s face it. No one wants a cookie cutter bridal shower. And why should you? 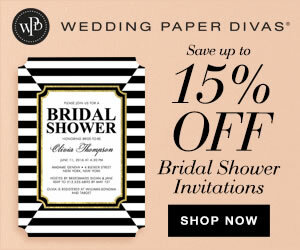 With tons of bridal shower ideas, we believe every bridal shower should be special and unique to the soon-to-be bride. From her favorite foods to something she’s absolutely passionate about — there’s always a way to beautifully incorporate it to her bridal shower. 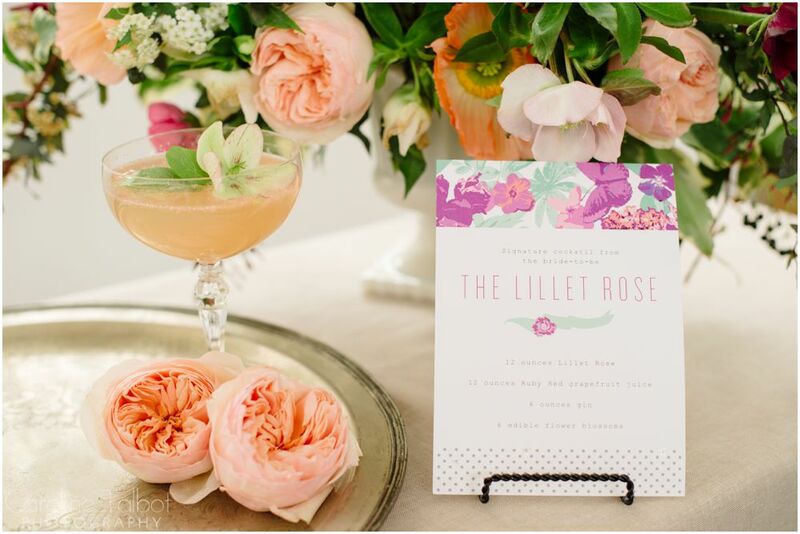 Today we’ve gathered some of our favorite ways to personalize a bridal shower, so let’s get started! 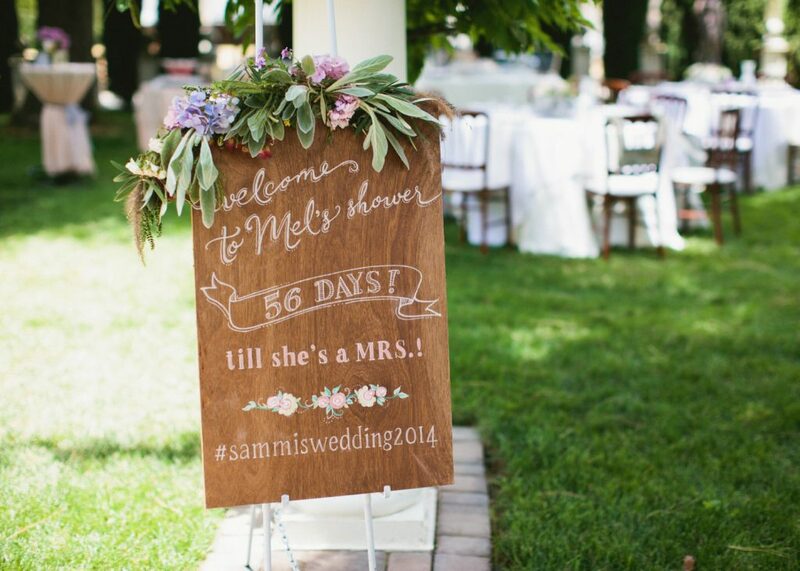 The bridal shower sign by far has to be one of our favorite bridal shower details. It’s stately appearance welcomes guests and comes in a variety of styles to fit every budget. Does your bride have a go-to cocktail she’s head over heels in love with? 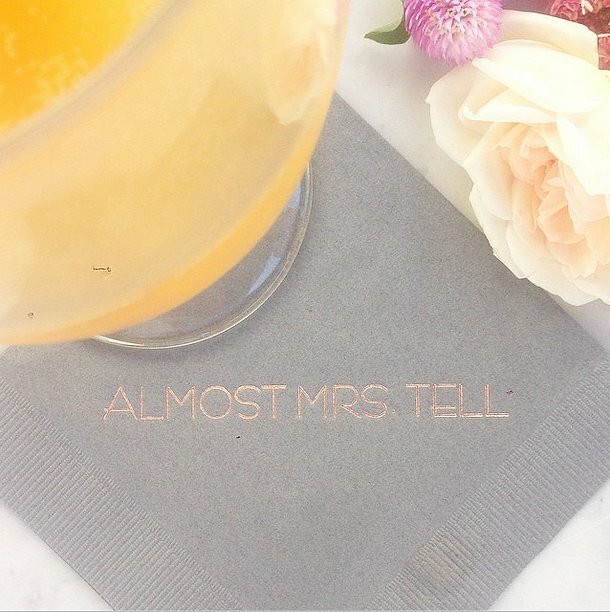 Well, a signature bridal shower cocktail is the way to go. Give it a snazzy little name and adorn it! 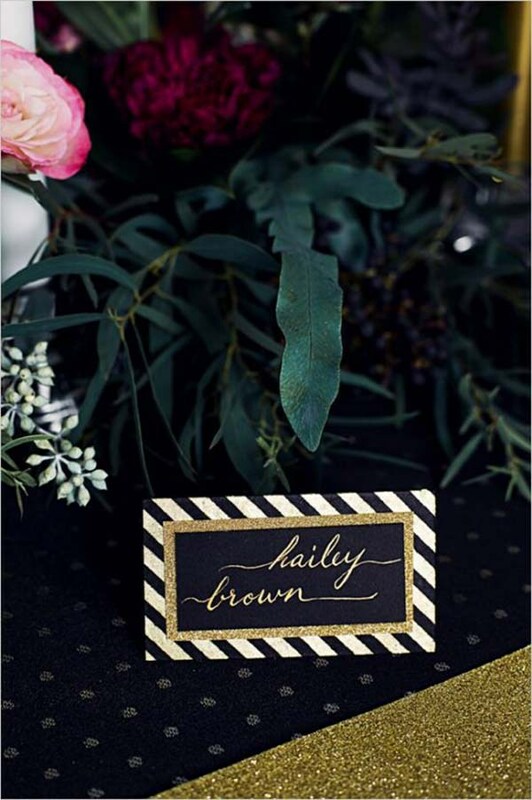 Place cards are party staples and add a bit of flair to the overall bridal shower decor. And if you are hosting an intimate bridal shower with a small number of guests, laser cut calligraphy place cards are just darling. 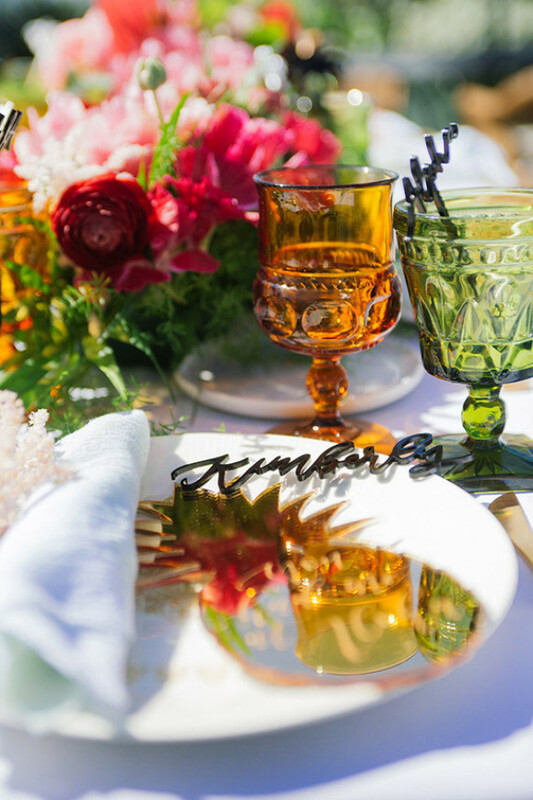 Lauren Conrad’s bridal shower featured the gold imprinted cocktail napkin below and they get our stamp of approval. Simple and super cute! 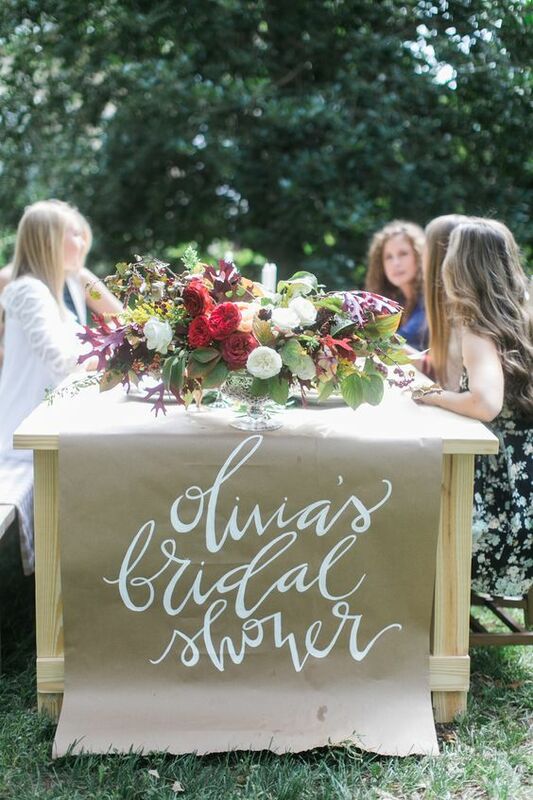 So there you have it, our favorite ways to add some personal touches to a bridal shower.